I’m glad to see Ted Cruz call out Mitt Romney and Jeb Bush for their spineless capitulations to Obama and the Iran deal. If the deal goes through legally or illegally, we will hand at least $150 billion to Iran and we will indeed by the greatest financiers of terrorism on the planet. Millions of Americans will die if this goes forward and Obama will be swimming in their blood. You won’t hear courageous straight talk from the likes of Mitt Romney or Jeb Bush – they are Progressives on the Right. They are too politically correct and as RINOs, they are beholding to the system and to the powers-that-be. Romney’s first debate in the last election was magnificent. Then something happened and everything changed. He gave the rest of the debates to Obama – he simply let Obama win from that point forward. Why do you think that was? We need a warrior to be president and that sure isn’t Romney or Bush. Excerpted from The Hill: Texas Sen. Ted Cruz on Thursday hit fellow Republican presidential candidate Jeb Bush and 2012 GOP nominee Mitt Romney, doubling down on his rhetoric criticizing a nuclear deal with Iran. 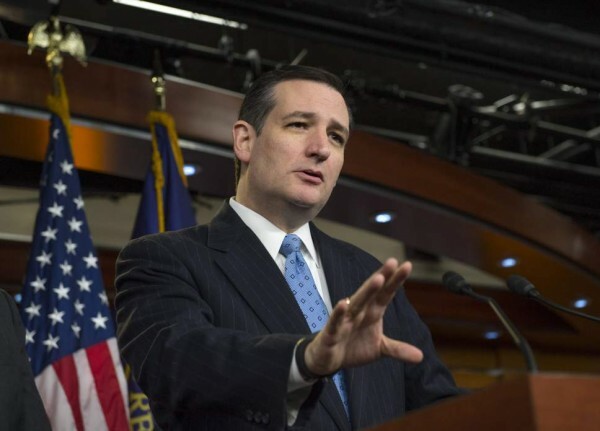 Cruz maintained Thursday that should an international accord on Iran’s nuclear program be implemented, members of the Obama administration “will be the leading global financiers” of terrorism. “You know, one of the reasons Republicans keep getting clobbered is we have leaders like Mitt Romney and like Jeb Bush, who are afraid to say that,” Cruz said. The Texas lawmaker, who is expected to be in next week’s first GOP-sanctioned debate, further criticized the Republicans, slamming Romney’s debate performance during his 2012 campaign. “Part of the reason Mitt Romney got clobbered by Barack Obama is because we all remember that third debate where Barack Obama turned to Mitt and said, ‘I said the Benghazi attack was terrorism and no one is more upset by Benghazi than I am,’” Cruz recalled on Hasty’s show. “And Mitt, I guess listening to his own advice, said, ‘Well gosh I don’t want to use any rhetoric so OK, never mind, I’ll just kind of rearrange the pencil on the podium here,”’ said Cruz. Of course Obama is supporting terrorism by doing all this. Romney is beginning to sound a lot like he’s batting for the other side. These are the same people who will never dare name the enemy within because it strikes too close to home for them. Cowards and sycophants. As far as Benghazi goes, I have not heard a peep out of either of them over that atrocity. Cruz went on to defend Mike Huckabee for saying that Obama was marching Israelis to the “door of the oven” with the nuclear deal. Because that is exactly what Obama is doing. Cruz is defending Huckabee because he was right and someone has to have the spine to say it. Bush called Huckabee on the carpet for it – just like a craven coward would do. At least Huckabee had the fortitude to say what he thought, speak the blunt truth and stand by it. Over and over again Cruz stands for what is right and doesn’t back away from it. This is why I support him for president.